Additional support services for individual pupils specifically include our specialist onsite provision for pupils on our Learning Support and English as an Additional Language (EAL) register. Further professional support services will be accessed in Malaysia or Singapore, as required. The Learning Support department will keep a record for pupils entering the College with a history of special educational need (SEN), such as a specific learning difficulty, physical disability or bilingualism. Where appropriate, the department will also hold pre-assessment interviews for potential entrants. The College will take appropriate action to support entrants with identified difficulties. We are only able to support children with mild learning difficulties. The Learning Support department will post a confidential list of pupils with specific learning difficulties on the College intranet. This list will indicate the nature of the difficulty and the action required to support each pupil. It is the responsibility of individual beaks not only to be sensitive to the learning difficulties of pupils they teach, but to endeavour to adjust their teaching style so that these particular children are not disadvantaged. Since learning difficulties can become evident under a wide range of circumstances any member of the College community, parents or pupils themselves may make a referral at any time during a pupil’s career at the school. The protocol requires first approaches to be made to the Learning Support department. The LS department will remain central to communication with pupil and parents throughout the identification and support of a child with learning difficulties. 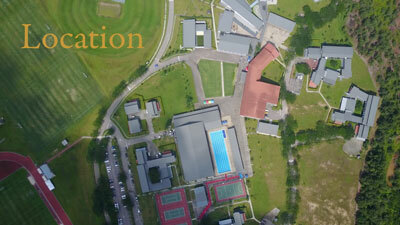 The Head of the Prep School, the Head of the Senior School or the pupil’s HM will be kept abreast of all communications. Once a referral has been made and parents are aware of it, the LS department will circulate a questionnaire to the pupil’s beaks and summarise the responses. The intention here is to gather a full picture of the pupil’s academic position before considering how best to proceed. • An informal assessment in the Learning Support department at no cost to parents. • A full Educational Psychologist’s assessment, parents bearing the cost. • Learning Support lessons on either an individual basis (parents to bear the cost) or on a small group basis. • An application to public exam boards for access arrangements. • Information and suggestions to beaks who teach the individual pupil.